Here is a nicely job done video of a Paladin tanking end-game instances. The 2.2 patch has been loaded in PTR. Unfortunately, the retribution paladins will have to wait until the next patch to get buffed. Here is the list of changes pertaining to the Paladin class. While the two healing spells available to a Paladin have only 1 second difference in casting time, easily reducible to 0.5 seconds difference (or less) through the talent Lights Grace, and are both direct single-target healing, their use and characteristics are very different. Here is an interesting interview with Nihilum (the first guild to down Illidan) from WoW Insider. There is a brief discussion about Nihilum views regarding the protection paladin in end-game content. Quick questions about classes: How many DPS warriors do you all use? Any Moonkin? Any tanking Paladins? Any enhancement Shamans? We aim for efficiency. So no, we do not use any Moonkins, Protection Paladins, Retribution Paladins or anything that is way below the standard classes that can do a much better job at said task. We do however use bears to offtank and we sometimes bring 1-2 DPS warriors. 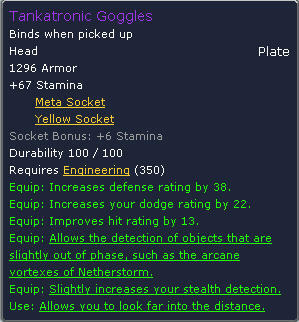 Not because we need them for the DPS they provide, but for the buffs they give to our DPS. Overall it’s more efficient. Guilds that go with Protection Paladins and Moonkins will not do as well as the ones that bring an optimal raid setup. This is a fact. If you haven’t noticed I have changed the template to this website. I feel this look will be easier to navigate and easier on the eyes.